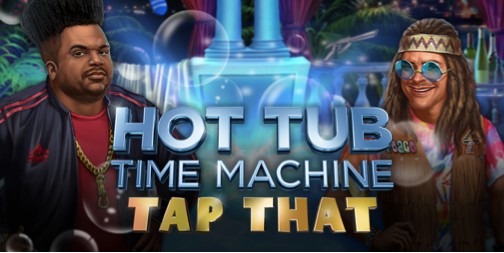 Get ready for a new mobile game that lets Hot Tub Time Machine fans jump in with the guys in a rowdy and hysterical adventure through time. 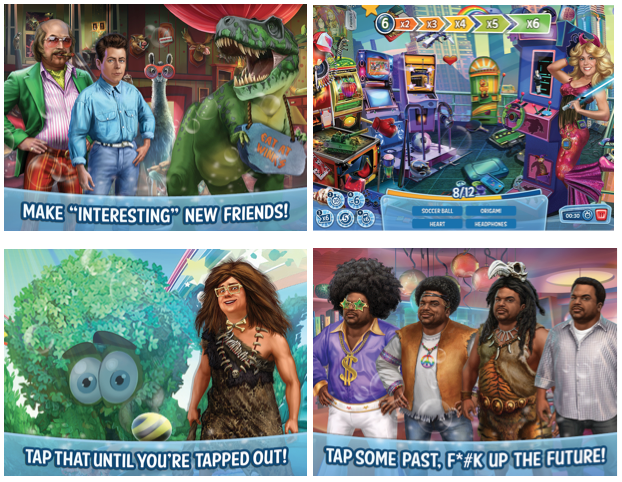 As the tub warms up for the second time, fans can jump into Hot Tub Time Machine: Tap That, an interactive adventure allowing players to travel through time. From wild parties in the 1980’s and bars in Neanderthal caves to the twisted future of robots and holograms, players will collect clues and put together the pieces from yet another blacked out bender in the tub. Are you excited to try this game on your cell phone,ipad or tablet?